Facebook is a social networking site that allows anyone to create a profile with a variety of personal information and pictures. Until recently, Facebook was an online community for college students. Facebook users provide personal information such as Home town, Relationship status, political views, interest, favorite movies/music/books/quotes and a section which contains a short description of the user - "About Me" section. Since it's creation in 2004, Facebook has experienced unprecedented growth over the past couple of years, with an additional 20,000 accounts created daily. 60% of Facebook users log in daily and some, have become "addicted". Facebook has gone beyond connecting friends! It has aided criminal investigations and college disciplinary hearings; it has been used by employers to screen job applicants. As if this is not enough, insurance companies use Facebook to investigate clients. This has raised many questions about the social networking site. Are we entering a new reality in which Facebook profiles capture authentic personalities? Many have argued that Facebook profiles don't represent the authentic personalities of users because users might upload the most attractive photos, update the most clever thoughts on status updates, carefully choose favorite books, movies, music or quotes - all in a bid to portray rose-tinted personalities. This is not the case. According to three researchers from the University of Texas at Austin - Samuel D. Gosling, Sam Gaddis and Simine Vazire - people's Facebook profiles reflect their authentic personalities. Sam Gosling analyzed Facebook profiles of 236 participants - all of whom filled out personality questionnaires and didn't alter their Facebook profiles (profiles were saved onto a disc before Facebook was mentioned to the participants). 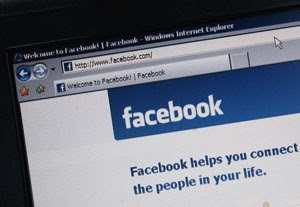 The researchers matched the survey results against the participants' Facebook profiles. According to the results, people's online profiles were in keeping with their authentic profiles in real life. The researchers agree that not all online profiles match real life profiles. But for the most part, online profiles represent the authentic profile of users. A psychologist, Sam Gosling, concludes that social networking sites are simply another medium for sincerely social interactions. Does your facebook profile reflect your authentic personality? What qualities and traits are portrayed on your Facebook profile? What about your Facebook photos? What do they reveal about you? What about your status updates? These are questions every responsible Facebook user should consider because, believe it or not, Facebook has gone over and beyond helping you connect and share with the people in your life. I totally agree with the results of the research on the "psychology of Facebook profiles". Facebook captures the authentic personalities of most of my close friends. In other words, Facebook status updates, photos, interests, you name it, reflect the personalities of Facebook users I've interacted with in real life. It's true that if you're a jerk in real life, you'd be a jerk on Facebook too.